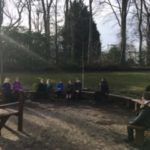 Our school grounds have lots of fantastic spaces where you can relax and enjoy nature. We conducted a survey to find out where the best places are and mapped these. We are very lucky that we have lots of areas! We will share them with pupils. 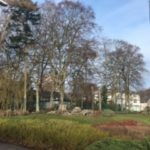 We have now sent a proposal to Mrs. Jones to create a ‘quiet’ area for pupils where they can enjoy nature in peace and quiet, away from the hussle and bussle of the playground. Watch this space! 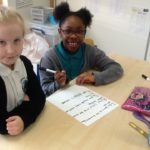 Pupils from the Eco Working Group have opted into one of the 3 projects and are currently implementing the individual action plans for each group. 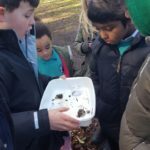 Jen Hickling, Countryside Ranger, worked with the Eco Group to go on a mini beast hunt in our school grounds to see the range of little creatures we have living with us! We saw a wide variety of mini beasts from ladybirds to spiders to snails to woodlice. 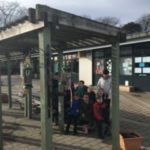 Our school grounds is very popular! 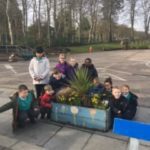 Our next task is to plant more wildflowers in our school grounds to attract bees and butterflies. We have already identified a perfect spot in our wildlife garden. Watch this space. 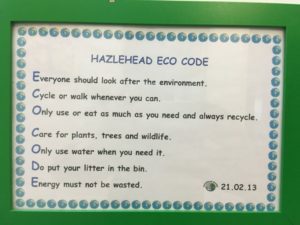 We have the following targets on our Eco board in the school. These have been stuck onto leaves. When the target is achieved, the leaf will then move up and onto a branch! 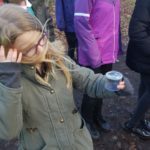 Find out if the children know how to ‘respect and care for living things’. 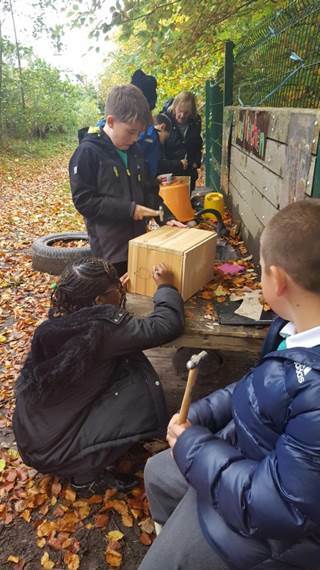 Survey the range of habitats that the school provides to encourage biodiversity. Check if the birds are fed that visit our grounds. Check if the flowers planted encourage wildlife. Review opportunities that children get to plant seeds/seedlings of native plants both in and out of doors and watch them grow and care for them. Check if the school use any chemicals in our school grounds. Check if there are any quiet places to watch, study and enjoy nature. 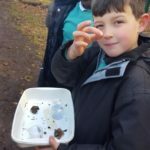 Create records of the wildlife that comes into our school grounds. 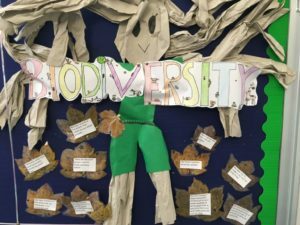 Look at how the school can celebrate local biodiversity during the school year. 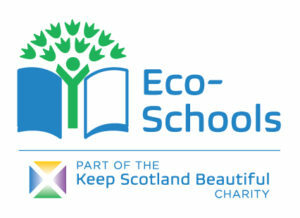 Review the school grounds or local area to see if more can be done for biodiversity. We have the following targets on our Litter board in school. Make sure everyone in the school knows about litter. Review the litter policy to see if it is working. 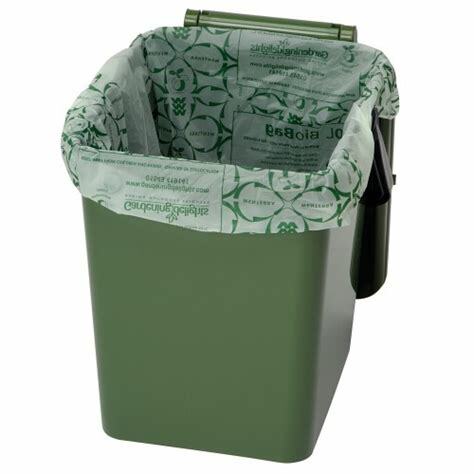 Make sure there are enough litter bins inside the school. 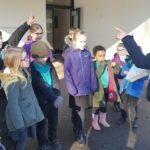 Carry out a litter audit to see the main types of litter found. 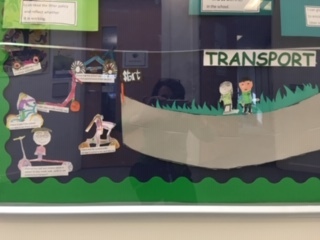 We have the following targets on our transport board in school. Check that the school has a travel plan and that parent/carers know about it. Check to see if the school operates a car share system. 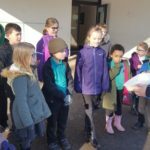 Look at developing a Walk to School day/week. 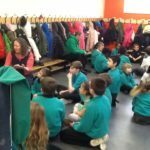 Find out how staff and children travel to school. Do they mostly walk, cycle or use public/school transport? 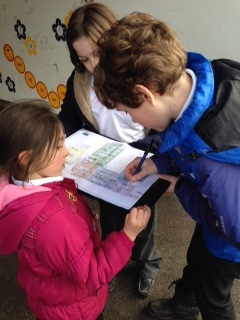 Undertake a traffic survey near the school. 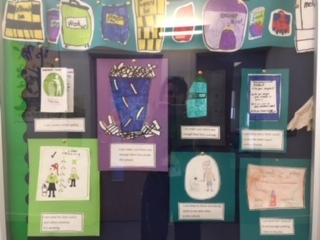 Today during House Time we consulted the whole school to get ideas of the different rewards we can give to encourage all children to put their litter in the bin. We will now look at the suggestions and make a desicion based on the most popular opinions. Watch This Space..!!! 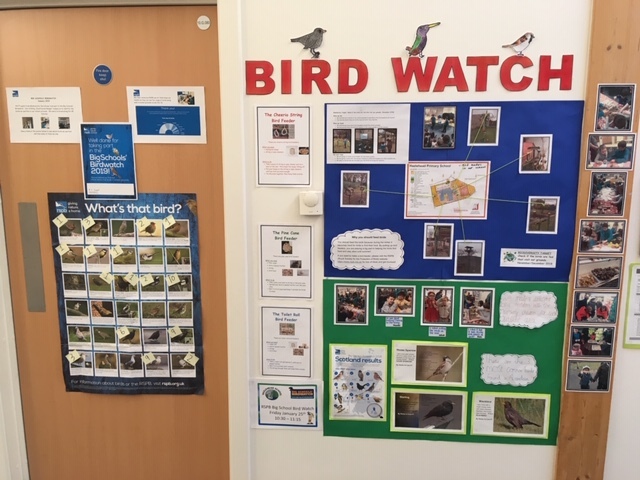 Our Bird Watch display shares all the learning that has taken place, including the Big Schools’ Birdwatch results. 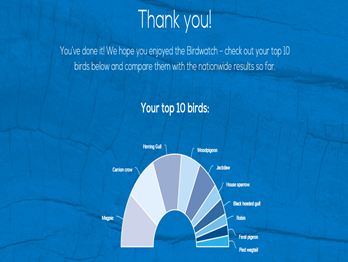 Our Big Schools’ Birdwatch results. Magpies and Carrion Crows were the most popular. 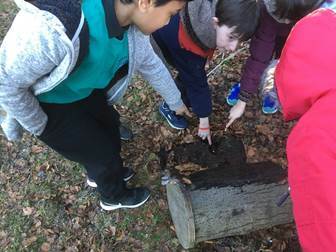 Creating hedgehog homes for our prickly friends! 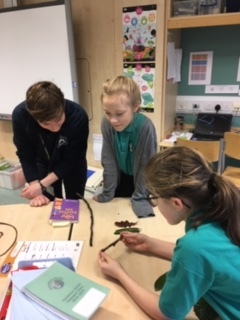 RSPB working with P5 on ‘BioBlitz’ as part of their Science curriculum – finding centipedes, beetles and worms in our school grounds. 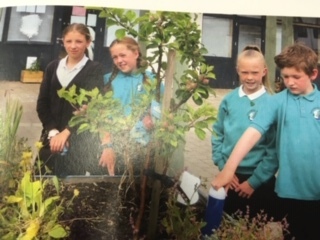 Thank you to the SSPCA for working with all the pupils once more. It always reminds us why it is important to look after animals and good ways we can do this. 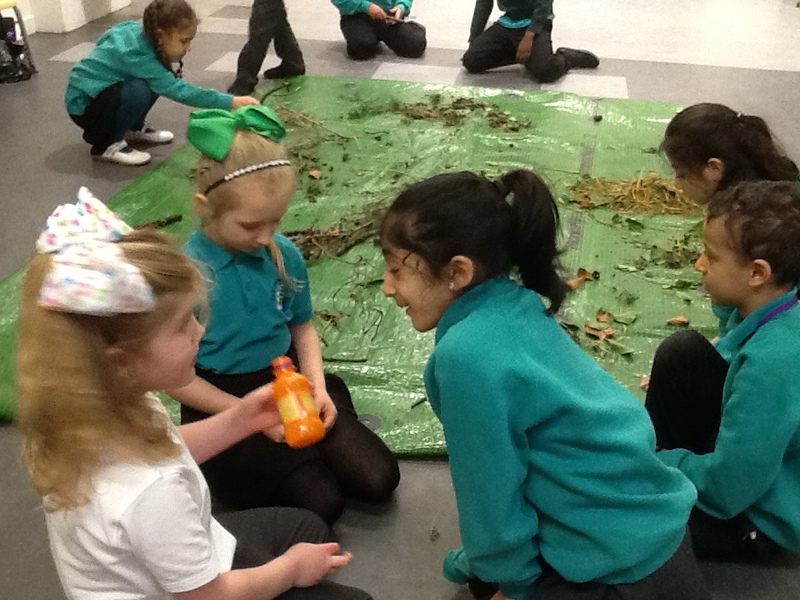 We went on a twig hunt with Jen, Countryside Ranger, to see the range of trees we have around our school. 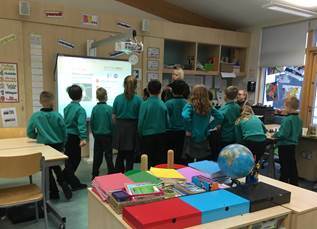 We were amazed that in only 10 minutes, we identified 12 different types of trees! This included beech, ash, elm, lime and hawthorn. We even found a twig from the Hazel tree!! 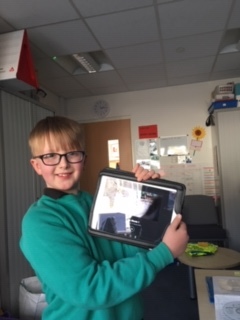 Coming soon – a food caddy for each class for fruit peelings courtesy of Aberdeen City Council!! 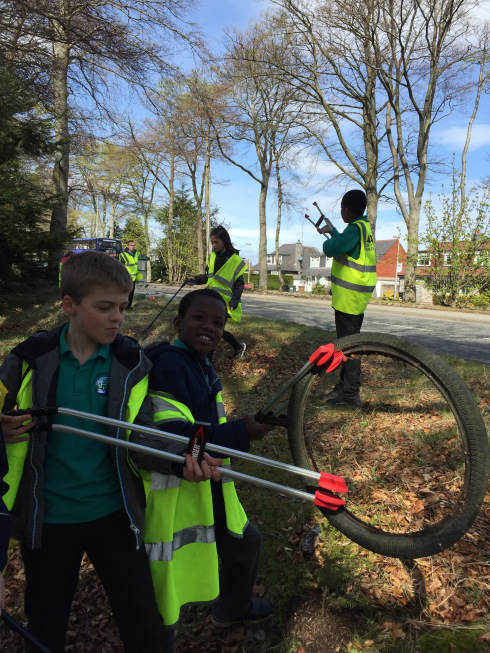 Thank you to P7 for being on Litter Patrol for the month of January. 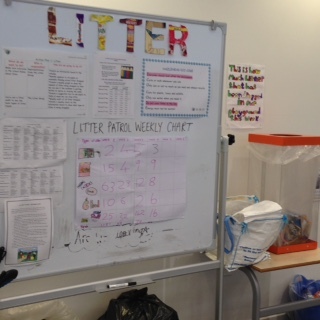 Our litter board keeps everyone updated with what we are finding in the playground and how we are doing. The litter patrol rota is also there for everyone to see. 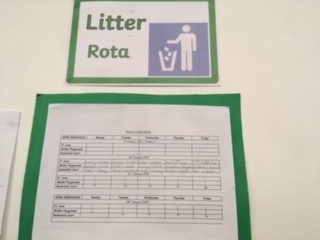 Our litter bin audit showed us that we have enough bins in the school and in the playground. We are creating short films on the iPad about litter to share with the school at assembly. Our litter picks are always very interesting – you never know what you’ll find! 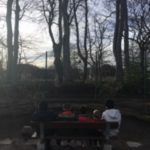 P2 went on a litter pick around the school grounds as part of a mini topic on litter. 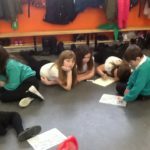 They then created imaginative stories based on what they had found. 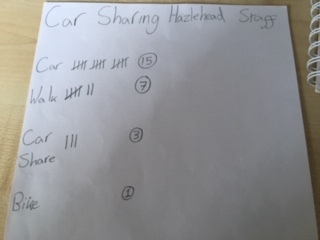 We surveyed the staff to find out how they travel to work and if they car share. Although 69% travel by car, 11% of that total is staff who car share. 31% either walk or cycle to school. We are trying to encourage as many families to walk to school instead of taking the car. This is better for the environment and also is great for keeping you healthy. 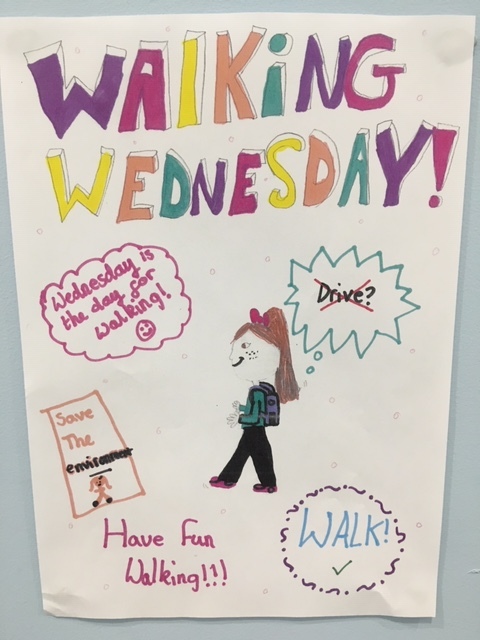 We hope to see more of our families walking to school at least one day a week on Walking Wednesdays! 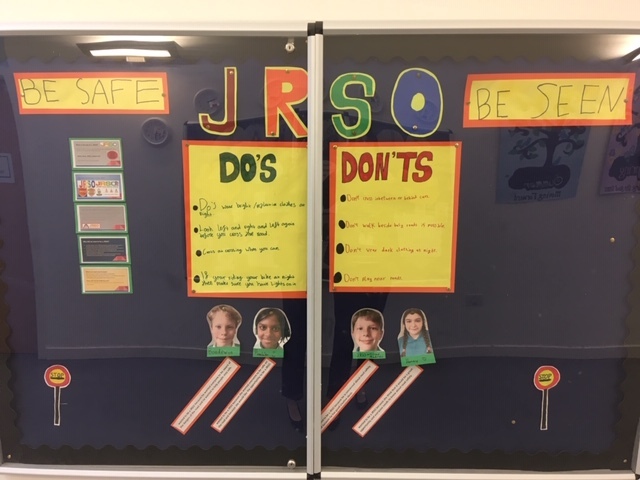 We now have Junior Road Safety Officers (JRSO) established in our school. We look forward to working with them to highlight the importance of staying safe when outside. 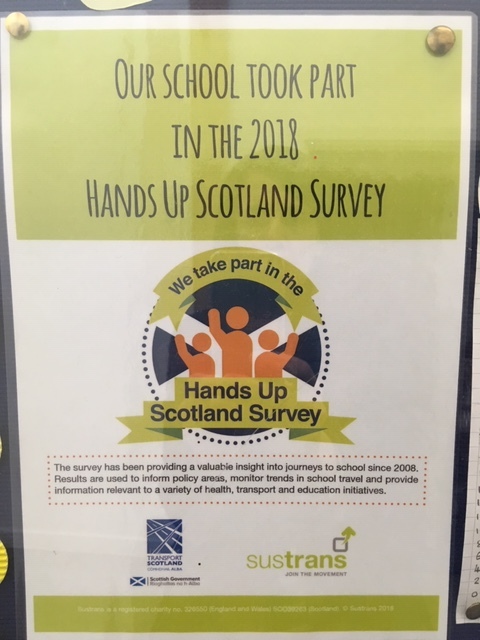 We participated in the Hands Up survey. 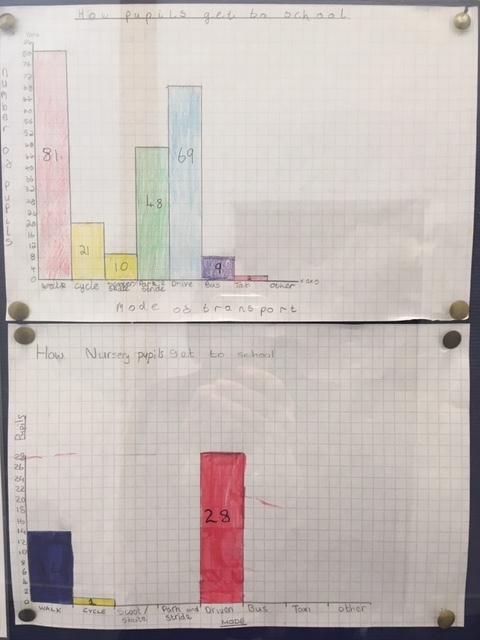 We found that more children come to school by car. 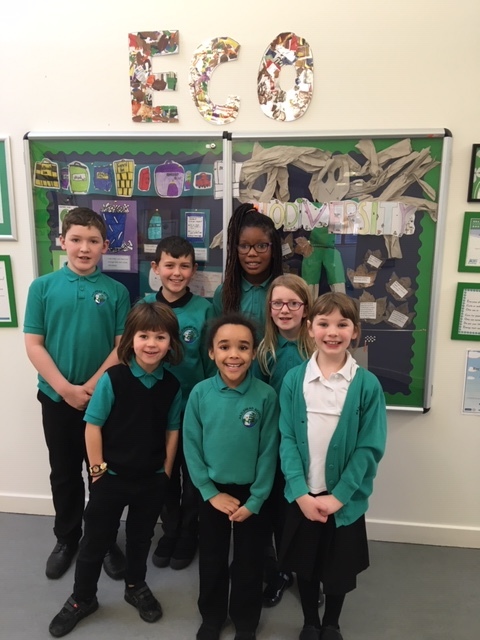 We are going to look at ways to encourage more pupils to come to school in a more environmentally friendly way.